French philosopher and sociologist, 1858-1917. Durkheim is considered the first modern sociologist, using statistical material and sharp intellect to study such topics as suicide and religion. estimated his net "worth" to be $88 billion. 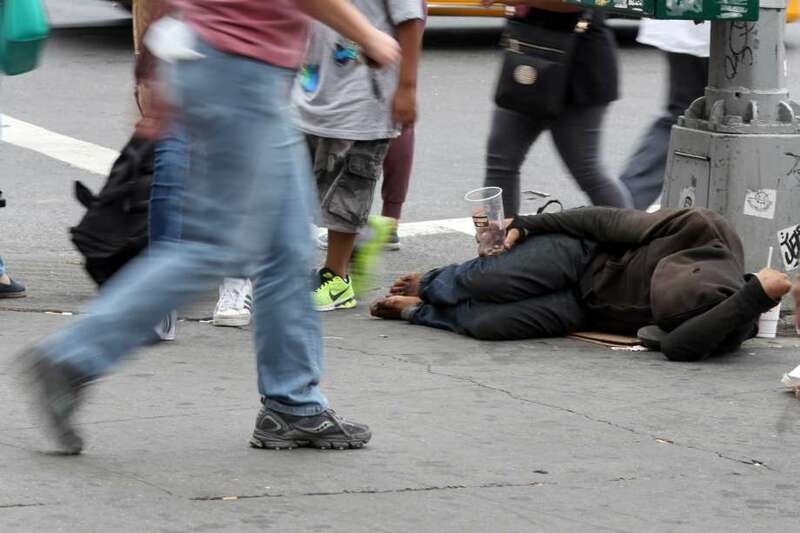 Homeless man, 14th Street in Manhattan, 2015. Ferguson, Missouri, summer 2014. The conflict between law enforcement and community over the killing of a young black man highlighted the stark divisions in American society, and demonstrates clearly how groups and institutions in society interact and conflict.